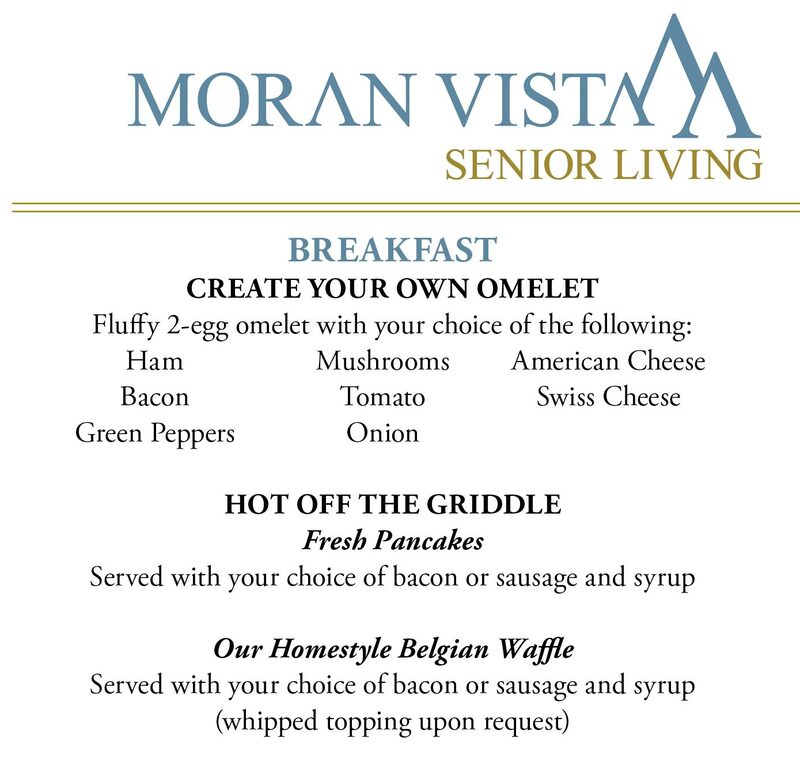 At Moran Vista, we provide our residents with a fine dining experience at every meal. With delicious daily specials as well as a full menu of choices, you’re sure to leave every meal with satisfaction. Enjoy open dining from 7am to 7pm daily, choosing from over 30 menu items. 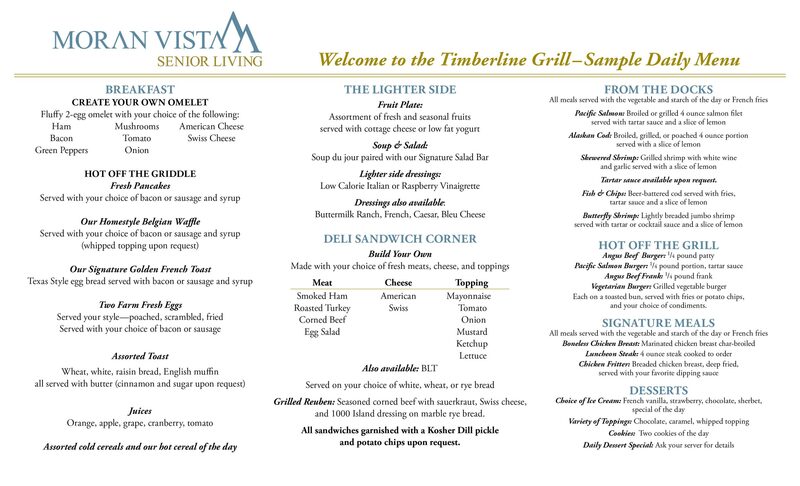 For an idea of what you will find in the dining room at Moran Vista, please view our sample menu below.